Ah, it is that time of year again. 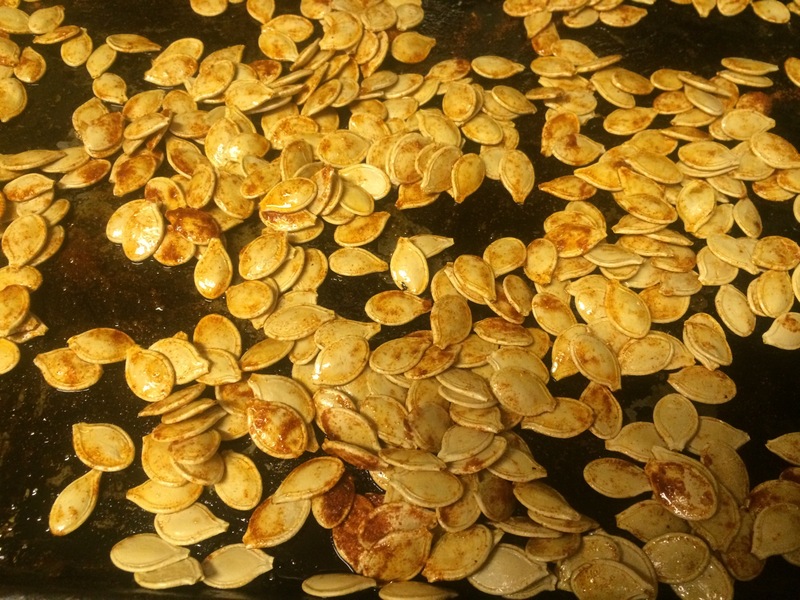 Time for pumpkins and jack o’lanterns and… pumpkin seeds! I grew three nice pumpkins in my garden. Each was destined for a different design to be carved; all selected by Cam, of course. The first was carved by my oldest daughter – the headless horseman seen above. She is a big fan of paprika potato chips (the kind we first found in Hungary on her 16th birthday trip); they are similar to BBQ chips, just much, much better. 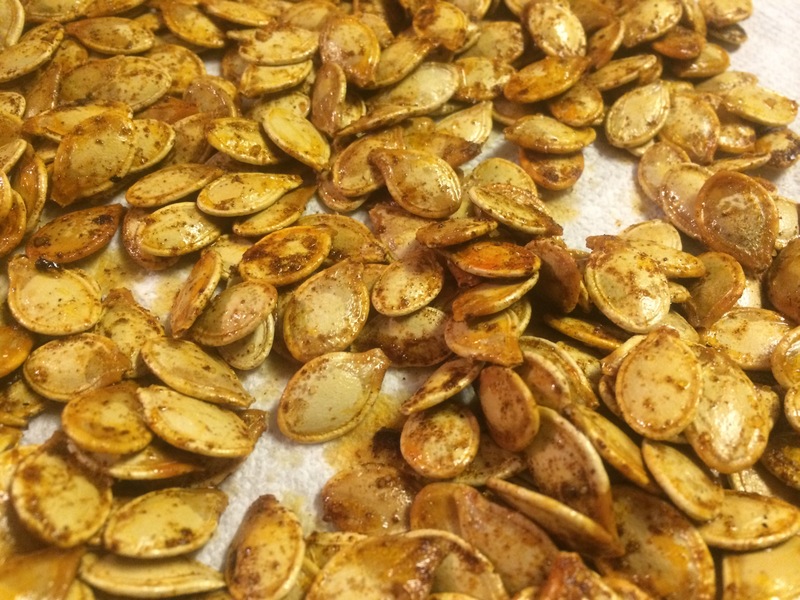 So, with that in mind, I decided to make smoked paprika pumpkin seeds. Clean the seeds, place in a colander, rinse and drain. Spread the seeds on a rimmed baking sheet. Place in the oven for 5 minutes. Stir and return to the oven for another 4 minutes. THe seeds should be nicely dried, not crisp. Reduce oven to 350F. Toss the seeds with canola oil. Sprinkle with the spices and salt. Bake for 15 minutes until crisp. Remove from oven and cool on paper towels. Enjoy!